We have compiled these resources to help you in your time of need. If you have further questions, call us at (314) 781-1115 or (636) 343-0400. 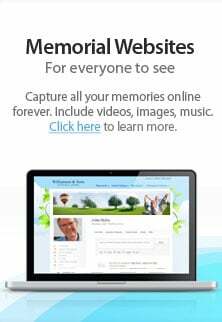 We provide Cremation Services and Cremation Memorials. Jay B. Smith Funeral Homes is proud to offer our families the finest in cremation memorial and burial products. We invite you to review our selection prior to meeting with a member of our staff for the arrangement conference. Affordable monthly payment plans through LendingUSA, a leading funeral funding group endorsed by the National Funeral Directors Association. Simple application can be made on-line. People talk about many things with their loved ones: from day-to-day details to big events. Sharing stories with those who matter most isn’t just important today; it will be especially significant when it’s time to commemorate a life.